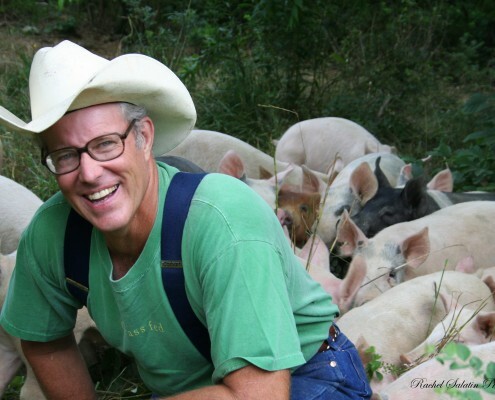 T&E Meats provides USDA-inspected slaughter and meat processing services for farmers throughout Virginia who provide exceptional local meats for local tables. Our specialty is private label co-packing, so we understand the needs of producers who are developing high-quality, local meats. 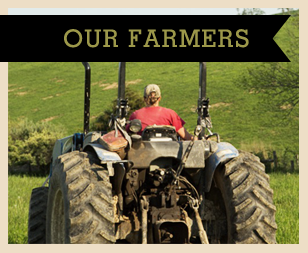 Our farmers and producers sell their meats through local farmers’ markets, on-farm stores, and their buying clubs. 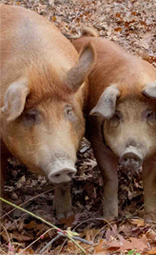 Some of our producers also sell their meats to local restaurants and to retail establishments. Our farmers bring beef, pork, lamb and goat and exotics, such as American Bison and Asian Water Buffalo, to T&E Meats for USDA-inspected slaughter and processing. 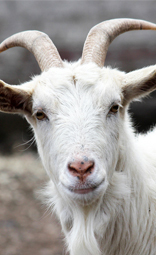 We also provide custom processing for farmers who do not require USDA labels when they are selling whole, half or quarter animals to private customers. We welcome both our USDA and our locker meat customers. T&E is committed to the growth of the local meat industry, which is reflected in our motto: “Helping farmers feed people.” Consequently, T&E works with many farmers including large local producers who may want to bring twenty or more animals at a time for processing and small farmers who may want to process just one or two animals per year. We process over 1 million pounds of meat per year. Whether you are a large-volume producer or a low-volume farmer, T&E Meats works with every customer to hang, cut and process your meat according to the specific, individualized cutting instructions you supply. Cutting instructions may include specific and unusual meat cuts as well as information for patties and sausage. We provide sausage in a variety of shapes, sizes, and seasonings. 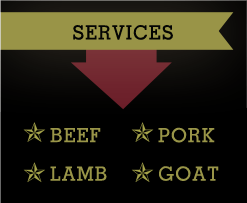 Also, we typically age beef for about two weeks, but we will adjust the timing based on customer preferences. 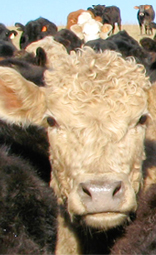 Prices for slaughter and processing are listed on our pricing sheet. Pricing is also available in our Customer Guidelines booklet. Be sure you make decisions based on our current pricing, which is typically reviewed annually and updated on April 1st every year, although specific changes may be introduced at any time. 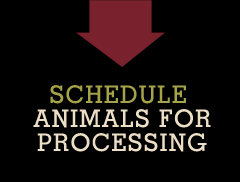 Typically, our busy months at T&E Meats run from May through December, so lead times for your animals during those months tends to be longer, especially between Labor Day and Thanksgiving. If you anticipate needing a slaughter date during our busy time, it is best to schedule ahead of time. From January through April, we can more easily accommodate shorter lead times. 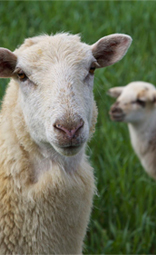 To schedule animals for slaughter, just contact T&E Meats by phone at 540-434-4415. Or, you can click here to email your request for a slaughter date. 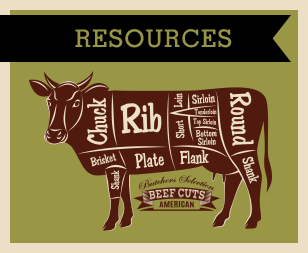 Farmers who are testing out the idea of marketing their own meats can use our USDA-approved T&E Meats labels. If a farmer decides to move forward with their own branded meats and wants to affix personally designed labels to their meats, we will provide the physical specifications for labels that meet the requirements for our scales. We will also help you to assist you with obtaining USDA approval for your labels, which includes guidelines about information that is required and permissible. T&E Meats uses vacuum packaging to seal in the freshness of your meats. We can also package sausage and other ground meats in rolls using clipper ties. Basic information about our services is included on this page. We provide more detailed information about all aspects of working with T&E in our T&E Meats Customer Guidelines. If you would like to download or print our Customer Guidelines booklet, please click here.